Only 28 miles today, but that is okay! I survived the night in the vacant lot last night. The tent, humidity, and temperature did not lend itself well to a good night of sleep. Not getting a shower last night did not help either, but it didn’t take long for 6:00 a.m. to roll around. My bike Rambow was packed by 7:00 a.m. The damp tent dried a little and would dry during the day from the wind. The Captain’s Café a few blocks away provided breakfast. I spent some time by the lake before going to church at St. Francis deSales church. Going to mass in a different parish is always fun. Meeting new people and experiencing subtle differences in worship is awesome. 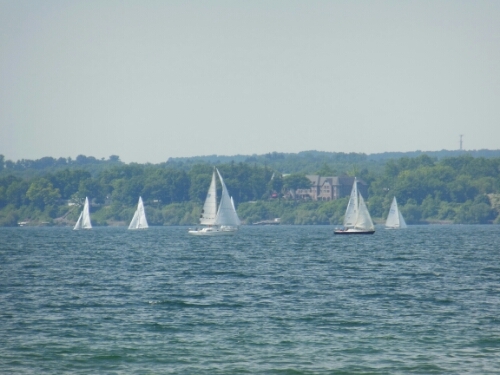 From church, I changed clothes at the bathrooms by Seneca Lake and headed off. 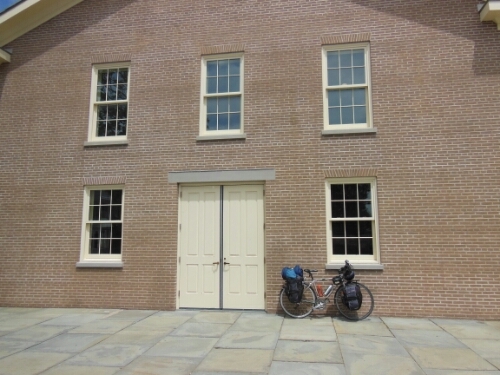 I biked through Waterloo before getting to Seneca Falls. 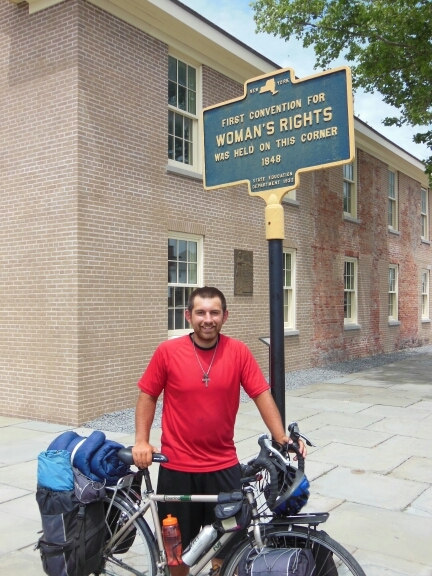 Seneca Falls is one of the highlights of the trip I made sure to include on the route. 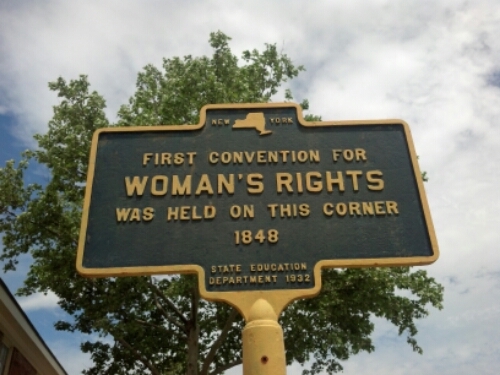 In 1848, the Women’s Rights Convention led by Lucretia Mott and Elizabeth Cady Stanton occurred here in Seneca Falls. 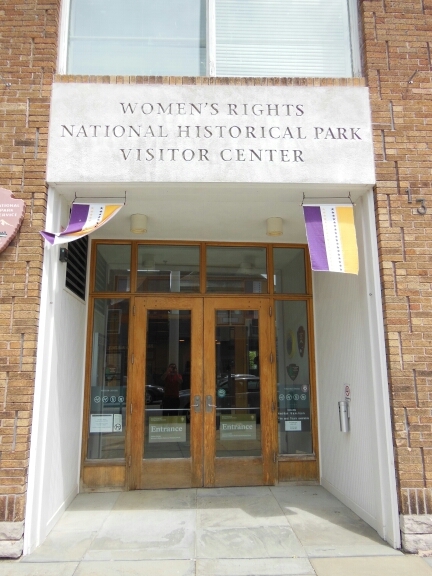 This convention helped spark the Women’s Rights Movement. It took many years with many hardships for women to obtain rights that so many of us take for granted today. In 1878, Susan B. Anthony and Elizabeth Cady Stanton drafted an amendment to give women the right to vote. It wasn’t until 1919, however, that Congress submitted it to the states for ratification. In 1920, after Tennessee declared approval, the states ratified it – the 19th amendment to the U.S. Constitution. 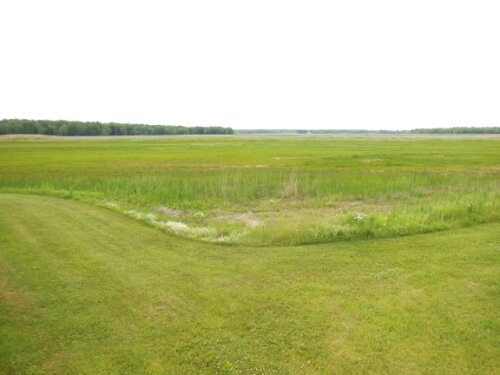 I stopped in Montezuma National Wildlife Refuge east of Seneca Falls. I wrote some post cards here while looking across the vast grassland with many birds. An ice cream shop made me stop just east of Auburn. While here, a couple people asked about the ride. I made it to my hosts a little after 4:00 pm in Auburn. I took a shower right away and felt better instantly. They did their weekly band practice in the basement. It was great to listen to while writing this post and relaxing. Today was a great day of bike touring despite the short mileage. But, after all, Sundays are the day of rest!